Expert in Plant Biochemistry and Molecular Biology, Biochemistry, and Genomics Environmental and Integrative Biology…more. Ramni H. Jamnadass is a Kenyan driven to change lives of small holder farmers and other poor communities through applied agroforestry research. She spent 10 years teaching at the University of Nairobi and Kenyatta University and subsequently joined the World Agroforestry Centre (ICRAF) 12 years ago. 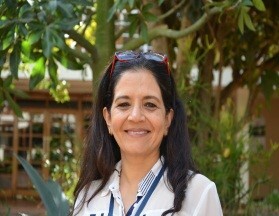 Ramni leads Science Domain 3 (SD3), one of ICRAF’s six global research programs….more. Senior Scientist (World Agroforestry Centre)Ian is an Associate Fellow with the World Agroforestry Centre (ICRAF) where he researches tree crop domestication and genetic management. At ICRAF he is part of the Science Domain 3 team. He is also a Scientist with the James Hutton Institute (JHI) in Dundee and Reader at Scotland’s Rural College (SRUC) in Edinburgh, both in Scotland. Through linkages with JHI and SRUC, he brings additional expertise on domestication approaches to AOCC. Alice holds a PhD in Population Genetics, MSc in Plant Biotechnology, a Postgraduate Diploma in Education and a BSc in Agriculture. She coordinates the activities of the ICRAF seedbank in Nairobi and regional field genebanks to ensure that superior tree germplasm is available for ICRAF collaborative projects and other interested users Her main areas of interest include conservation and use of important indigenous African tree germplasm…more. Prasad is a trained geneticist and plant breeder who is interested in applying various molecular genomics tools for enhancing breeding efficiency …more. Robert holds an MSc in genetics from Kenyatta University. He is a career geneticist working as the ICRAF Molecular laboratory technician…more. Muthemba holds a Molecular Biology and Biochemistry degree from Jomo Kenyatta University of Agriculture and Technology. He has vast experience in the applications …more. Mr Simon Kangethe joined the Genetic Resources Unit, ICRAF as a Database officer in August 2015. He holds an MSc degree in information systems engineering from the University of Sunderland and a national diploma in environmental science from Technical University of Kenya…more. Zakayo holds a Horticulture degree from Jomo Kenyatta University of Agriculture and Technology. He works as a Seed Physiologist in the Genetic Resources Unit. Prior…more. Agnes holds a Science Laboratory Technician certificate from Kenya Polytechnic University. She is involved in carrying out seed viability tests such as weight determination, purity analysis, germination and moisture content analysis…more. Nelly is a Senior Administrator. She holds a BBA in Human Resource Management and a Diploma in Information Technology…more.